The Depuy Canal House has sat in High Falls since the 1790s when it was constructed by Simeon Depuy, “one of the most prominent citizens of High Falls, New York.” It opened, according to the Depuy Canal House’s website, as the Stone House Tavern. The tavern entered its heyday when work commenced on the Delaware & Hudson (D&H) canal to link the coal fields of Pennsylvania to the Hudson River in Kingston. This tavern sat on Lock 16, convenient to the canal men until the canal closed in 1899. Some 167 years later John Novi, a resident of High Falls and a D&H Canal history enthusiast, saw a ‘For Sale’ sign on the Stone Tavern and agreed to buy the tavern despite its lack of running water or electricity. Finally opened after When Novi returned from Italy, he applied what he had learned there, to the Depuy Canal House. His new restaurant gained attention with a glowing review in 1970 by noted food critic Craig Clairborne of the New York Times. Since then, the picturesque backdrop of the Canal House and the Hudson Valley has attracted many well-known musicians, artists, and Hollywood notables over the years. I had heard that in the early seventies John Lennon was looking in the Hudson Valley for a second home he and Yoko Ono occasionally rented part of the Canal House when they were in the area. I decided it was time that I contacted Novi to inquire about his famous guests. Chef Novi remembered that the Lennons visited his restaurant in the 70s and recalled that this was during the time that the couple was looking for Yoko Ono’s daughter, Kyoko. Ono had been given full custody of their daughter, but her ex-husband allegedly absconded with the child. During this period, Lennon fell in love with Ulster County and the couple contacted a local real estate agent in New Paltz, Donald Bellinger, about the possibility of purchasing a home in the area. Bellinger was already well known in New Paltz as the founder and proprietor of New Paltz’s Academy Theater, a home of independent theater and film drama from the late 1960’s to the mid 1970’s. Novi remembered that it occupied the building where the current restaurant Barnaby’s is located on Route 32 North in New Paltz. Bellinger, a friend of Chef Novi’s, decided to introduce the Lennons to an increasingly well-known Depuy Canal House. The Canal House staff had three days’ notice that the Lennons were not only looking for property in the area, but wished to eat at the restaurant. When the Lennons arrived, they signed the restaurant’s guestbook. They were then ushered into a private dining room upstairs. The Lennons took their seat with six guests, as Novi recalls. Did Chef Novi join the Lennons? Well not initially because he was busy preparing their meals and making sure that nothing was left to chance. However, he came out of the kitchen and was asked by John and Yoko to please take a seat. They chatted awhile about the area and nice places for a home. He recalled that the ex-Beatle sat at the head of the table and Yoko Ono sat directly to Lennon’s left. He did not remember the names of the other individuals in their party. It has been rumored that Lennon became acquainted with Western Ulster County earlier in the 1970s, but in the end, John and Yoko did not end up buying property in Ulster County. Instead, in 1978, they purchased a farm in Delaware County, New York. They used this property as a retreat, as well as a place to raise Regis Holstein cows. Philip Norman wrote in his book John Lennon: The Life that he bought a herd of 122 cows and ten bulls. Toward the end of the phone conversation with Novi, I had to ask – what did John Lennon order? Chef Novi couldn’t recall; however, he did remember that Lennon must have had something with bones because the dishwasher at the time took the bones home as a souvenir. What about the guest register with Lennon’s signature? Well that too, along with the bones, disappeared over the years much to Novi’s disappointment. Photo: John Lennon in 1978. I also remember that night…My then girlfriend who was also the bookkeeper shared the ladies room with Yoko…I was working as a waiter…we saw John after his meal, in the barroom..which was small…All I could think to say was ..Thanks for your music..I also recall that he and Yoko were very nice and lowkey…By the way…Bill Smith and I were housemates for a while…Bill …Where are you now??? Larry Klaiman N.Y.C. Mr. Smith, thank you so much! It is a story that has been kicking around as long as I can remember. Do you remember what John ate that night? I would love to do a follow up story and find out if he spent anytime in Accord, New York which I have heard many times. You do not have a lot of this story correct. Donald and I were the hosts responsible for getting them into the Canal House secretly that night. Ken Dewey of the NY Dewey Family was an artist and friend of Yoko and our mutual friend. He would let them stay at his house on occasion, not far from where we lived. Ken brought us together. He was at one end of the table and John Lennon the other. Donald was to John’s right and I to his left and Yoko between me and Ken. Donald was not a real estate agent yet. John had the Cornish game hen that night. We had a private room with a fireplace and a couch. I too was a waiter at the DePuy Canal House that night, but I did not get to wait on that party. That honor was reserved for head waiter Frank Barr. 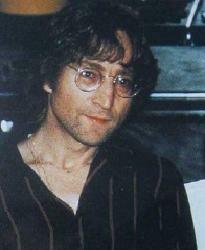 As I recall he was given specific instructions to not pay John more attention than Yoko. My memory is the the call for the reservation came in either that morning or the day before, asking for a private dining room for John Lennon for April 1st. That room was already reserved, and John Novi wasn’t really sure if the Lennon/Ono party was an April Fool’s joke or if they really would show up. When they did show up, entering through the side door so as not to be seen by the other guests, the staff was abuzz, and we had to plead “overbooked-terrible mistake-we are so sorry” to the group that had originally booked the private room.